1. Please log in to your client area. 3. Then click on "View All Available Addons"
This will be available as an Addon when applying for a hosting service. This is a free Addon. 4. 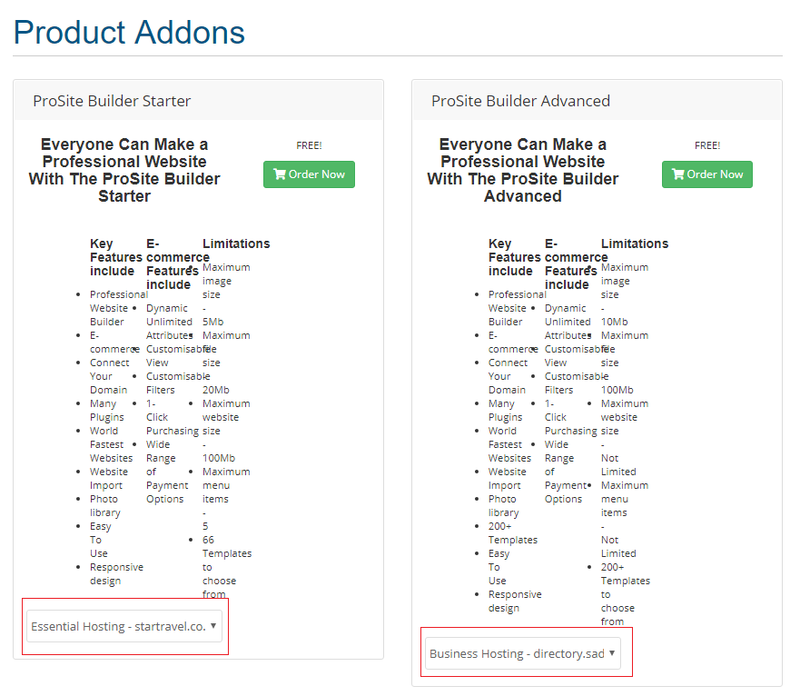 Select which Prosite Builder Plan applies to your hosting package from the dropdown boxes. 5. Click on "Order Now" and then check out.